Rahmatullah Mokhtar is one recipient. After graduating with an associate degree in public administration, Rahmatullah had trouble finding work, despite the fact that his family used to be tribal leaders in Central Afghanistan (addressed as Meer) and are relatively affluent. Rahmatullah, who speaks Farsi (his native tongue), English, Pashto (spoken in Afghanistan) and Urdu (spoken in Pakistan and India), decided to work as an interpreter for the U.S. Armed Forces in Afghanistan for nearly three years. “Working with the U.S. Army—I knew the risks. My first nine months I was sent to a province very far from the capital—the worst war zone in the country,” Rahmatullah recalls. That province turns out to be Helmand Province, a major Taliban stronghold and one of the battlegrounds in the fight against insurgents. Every three months interpreters are given a 15-day leave. Rahmatullah’s colleagues noticed he wasn’t taking his leave. “I was trying to save money and resign after a year, so I could continue my education,” says Rahmatullah. When the opportunity to apply for the Special Immigrant Visa came up, Rahmatullah took it. As a member of the Hazara ethnic group, Rahmatullah and his family were at risk of being targeted in attacks. The Hazaras, who are primarily Shia Muslims, are a minority in a country where most follow the Sunni branch of Islam. The Hazaras were victims of a genocide and sold as slaves in Pakistan and Iran in the 19thcentury. Rahmatullah’s nine siblings and father—a businessman and politician—now reside in Kabul, the capital and the largest city in Afghanistan. When President Obama started pulling troops from the country during his last two years in office, Rahmatullah was laid off due to downsizing, and eventually went on to earn a bachelor’s in business administration and went to work for the Afghanistan Chamber of Commerce as a government relations manager for a year before his visa was issued. He also volunteered for a time with UN-Habitat, the United Nations agency for human settlements and sustainable urban development, and was eventually elected to represent a community of families for a rebuilding project. In between serving as an interpreter and leaving the region, Rahmatullah even worked as a carpet weaver in Pakistan. Rahmatullah got his SIV and arrived in the U.S. in 2016, shortly after getting married in Afghanistan. Because Rahmatullah got married in the two years since applying for and receiving the visa, his wife Masooma had to apply for her own visa, and they were kept apart from each other for almost eight months while he resettled in the U.S. and she remained behind in Afghanistan while waiting for her visa. Due to safety concerns, Rahmatullah can never return to his birthplace in Central Afghanistan. Through an interpreters’ advocates group run by U.S. veterans (No One Left Behind) and after a stint delivering for Pizza Hut, Rahmatullah learned about the career workshops at the International Rescue Committee (IRC) in San Diego. He joined the English Language Learner Navigator Program in March of this year and enrolled in the East County Career Center as well as the IRC’s Management in Customer Service Bridge Program, a sector-specific career pathway program providing contextualized foundational skills, curriculum-based classroom training for the service industry, and occupational skills training and certification from SDSU’s College of Extended Studies. The bridge program model includes employment and financial coaching, benefits screening, access to income supports and connection to additional services. WIOA Title I-funded supportive services were used to support Rahmatullah in pursuit of his goals and upon completion of his training he was hired by the IRC for a part-time temporary position in their employment department. Within three months, Rahmatullah earned a full-time position with benefits and a wage increase. In order to further expand his opportunities and through support from the career center, Rahmatullah gained access to ITA/WIOA-funded training dollars to begin a 15-month certificate program in accounting from UCSD Extension, which he looks forward to completing in 2019. 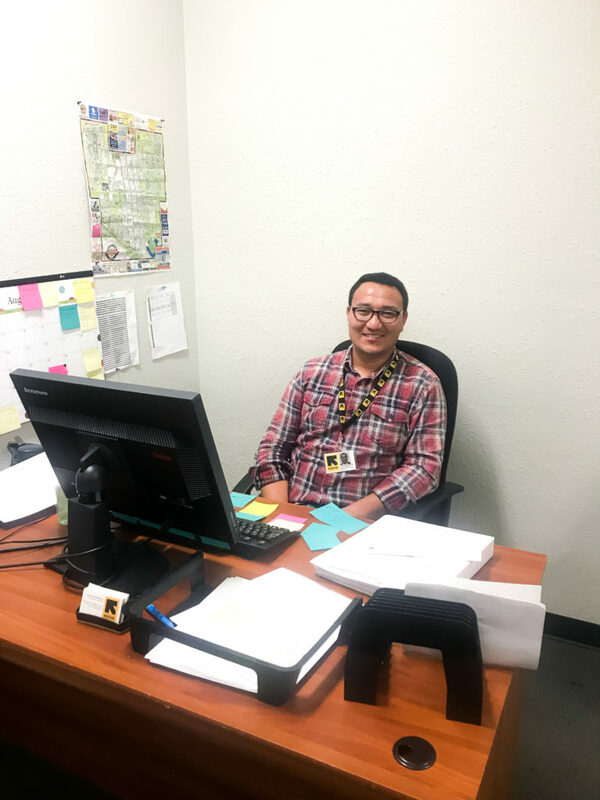 Rahmatullah has been working since May of 2018 as an employment specialist with the IRC in San Diego, where his multilingual abilities come in handy working with immigrants and refugees from all corners of the world. *The program will end once all the allocated visas have been issued.